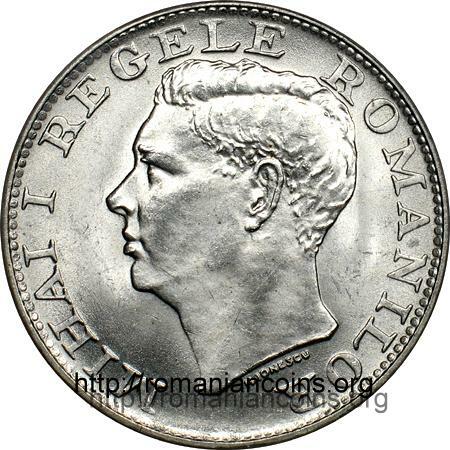 denomination "500 LEI", ROMANIA, year 1944, Romanian coat of arms; outer pearl circle inscription "MIHAI I REGELE ROMANILOR" meaning "KING OF THE ROMANIANS", MIHAI I head facing left; outer pearl circle. Under the neck lies H. IONESCU, the engraver's name. The pictures above are present on Romanian coins through the kind permission of an anonymous donor. The inscription on the edge features various positions with respect to the faces of the coin. It can start from anywhere and can be laid on the obverse or on the reverse. This observation is true for all the incuse inscriptions or ornaments on the edge of the Romanian coins from the beginnings up to present (2004). In the image on the left a striking error is pictured, with the letter D in DEO incomplete (the imperfections on the edge incuse inscriptions are quite common). In the image on the right the marks that separate the words NIHIL, SINE and DEO are pictured. 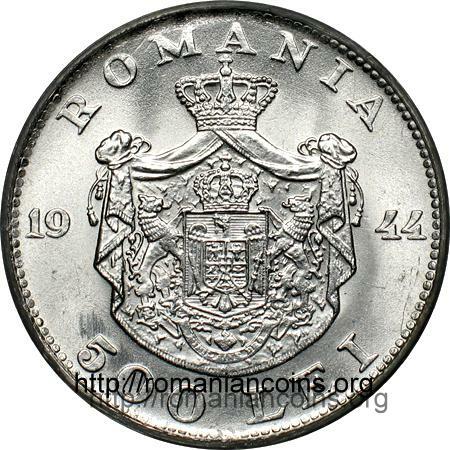 Due to the mintage of about 10 millions pieces this is one of the most common silver Romanian coins. 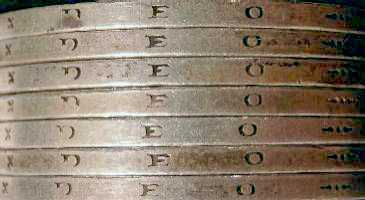 The images above picture a counterfeit weighing only 9.65 grams instead of 12, the weight of an original coin. The pictures of the fake coin above were provided for Romanian coins by Mr. Moise Alexandru-Răzvan.